Current: Where is my product key? When you make a purchase in the xlnaudio.com webshop you do not get a product key. Instead, the product is automatically unlocked in your user account as soon as the purchase goes through. After that, all you need to do is to run the XLN Online Installer and log-in to your user account and you will be prompted to download/install your registered product(s). 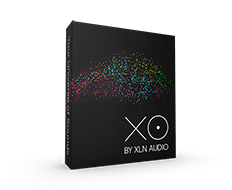 If you purchase XLN Audio products from anywhere else than the xlnaudio.com webshop you will receive a product key with your purchase. You can enter that product key in the Account / Register Product section. As soon as the product key has been used to unlock the product(s) you no longer need it.